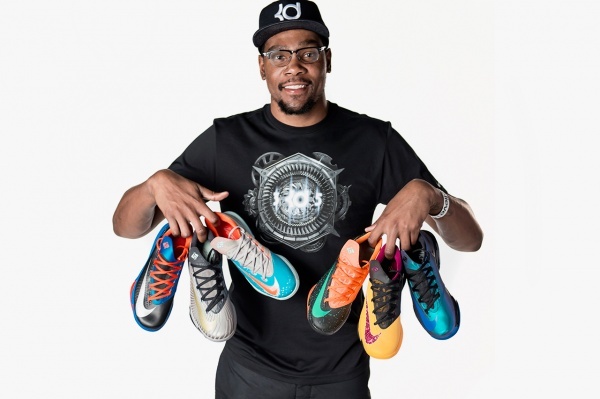 With the NBA season fast approaching, Kevin Durant, the Oklahoma City star forward presents a look at the upcoming colorways for his popular Nike KD VI basketball shoe. Presented in color ‘themes’, the sneakers have names like “Texas,” “Peanut Butter and Jelly,” and “Maryland Blue Crab”. Look for more news on these sneakers to ensue in the coming weeks, with official releases starting on October 10.